Martin Scorsese and Leo DiCaprio Are Back Again for a New Thriller! You just can’t keep Martin Scorsese and Leonardo DiCaprio away from each other. The two are prepping a new film that is based on the true crime thriller ‘Killers of the Flower Moon: The Osage Murders and the Birth of the FBI‘ by author David Grann. This insane true story is set in the 1920s where the members of the Osage nation in Oklahoma were brutally killed after someone discovered oil beneath their land. This went on for a while as a serial murder rampage, which was one of the first big cases the FBI investigated. Scorsese Scores Big With Pacino, De Niro and Pesci Signing Onto Jimmy Hoffa Tale!!! When Martin Scorsese knows talent, he doesn’t hesitate to use it. 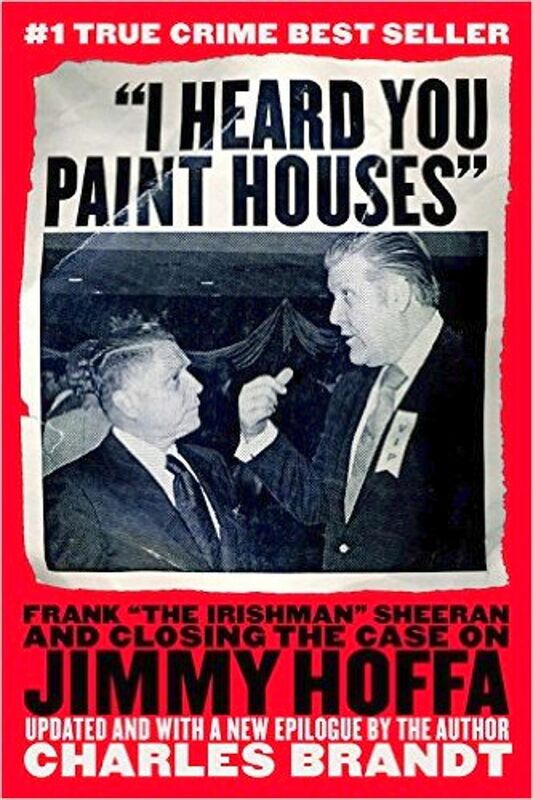 Such is the case of the upcoming film ‘The Irishman‘ about one of the coldest cases in mafia history, the disappearance of Jimmy Hoffa. Thus far that cast consists of Al Pacino, Robert De Niro, and Joe Pesci. The unofficial additions that are currently in talks to join this wonder-cast are Harvey Keitel, and Bobby Cannavale. WWE: Battleground 7/19/15 Recap!! The Deadman is BACK!!! Wars were fought and won in spectacular fashion on WWE’s Battleground! The night was an intense emotional roller coaster that kept the WWE Universe guessing. The WWE Superstars brought everything in their arsenal to destroy their opponents and the results were amazing matches from all involved. But as always, all is fair when it comes to the wars fought in the squared circle, and the sins of the past would come back to haunt some while others dodged bullets. Did you miss Battleground (shown on the WWE Network)? No worries, your Angelic Heel has you covered! 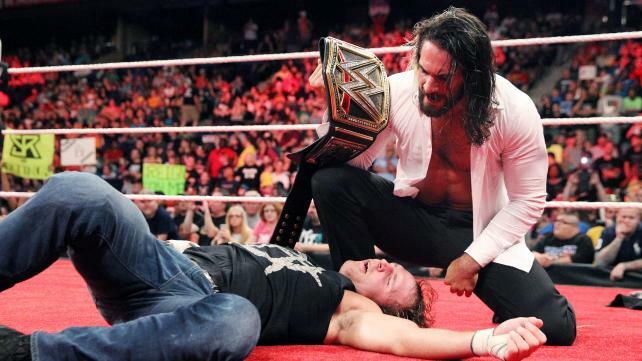 WWE Raw 6/8/15 Recap!!! A Champion Fights Alone! Tensions hit a boiling point in New Orleans, LA as the WWE presented the last RAW before the Money in the Bank pay per view (which can be seen on the WWE Network FREE for the month of June). The WWE World Heavyweight Champion’s frustrations continued as the Lunatic Fringe gallivanted all over Nawlins with the stolen title, Kevin Owens continued his crusade against the delusional John Cena, and much much more. Did you miss it? No worries, I’ve got you covered! The Raw after Payback was an insane evening that finally saw the WWE World Heavy Weight Champion get the appreciation and recognition that he deserved. Unfortunately, not everything went as planned, but as they say, The Authority always wins. The night was also filled with moments that shocked the WWE Universe and set the WWE Superstars on the road to the Elimination Chamber in less than two weeks. Did you miss it? No Worries, I got you covered. Find Out what happened now! The last show before NXT Takeover: Unstoppable ( which can be seen on the WWE Network for FREE in the month of May) was an action packed hard hitting thing that left the NXT Universe hungry for more. 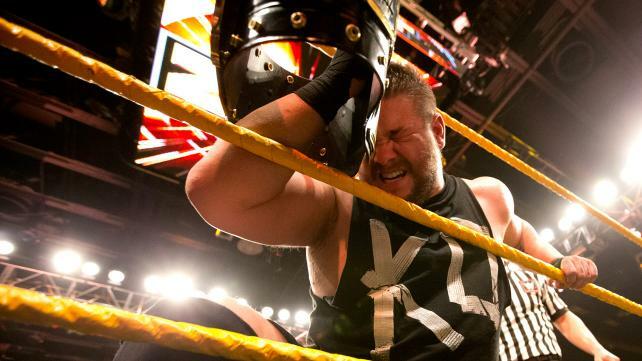 Things came to a boiling point between Sami Zayn and NXT Champion, Kevin Owens as they shared the ring in a verbal confrontation. The Big Bad Wolf also gave his answer to the Man Beast in a most explosive manor. The fun didn’t stop there, did you miss it? Find Out What Happened Now! 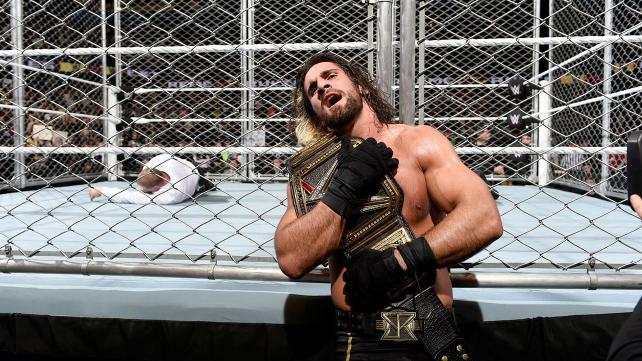 WWE: Extreme Rules 4/26/15 Recap! The one night that WWE goes extreme is known as Extreme Rules (shown on the WWE Network for FREE during the month of April to new subscribers). It is a night where the WWE Superstars put it all on the line in unique matches not typically seen on WWE programming. It is a night the WWE Universe gets treated to something exciting and special. Every title was on the line and the unexpected took place multiple times through out the night. Did you miss it? Find out what happened now! Thursday’s continued to be hard hitting nights of fun with WWE’s Smackdown! Fresno, CA was the scene of the first installment of the blue brand post Wrestlemania and it put us on our merry way to Extreme Rules. 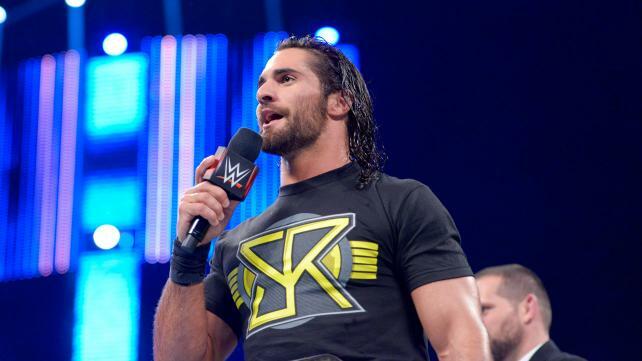 With the events of this past Monday night, how would our beloved champion, Seth Rollins react? With Sheamus‘ return, how would that bode for the Intercontinental Championship division? Inquiring minds want to know! Find out what happened on WWE’s Smackdown! 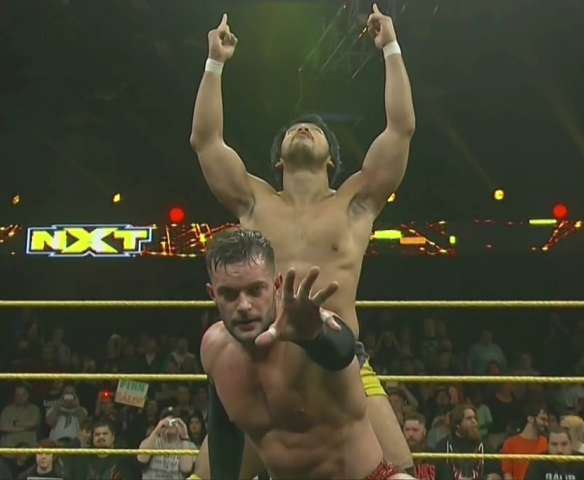 WWE: NXT Recap 3.25.15 Fighting Champions! WWE‘s NXT refused to play second fiddle to the excitement that comes with Wrestlemania week. It hit back hard as it show cased its two main champions in huge title defenses. These exciting matches that could only be seen on the WWE Network (for the low low cost of $9.99 a month! ), tore up the Full Sail Arena and had the NXT Universe on their feet shouting for more. How did the champions fair? Find out now! Once again the NXT Superstars destroyed all expectations as they took over the WWE Network with NXT Takeover: Rival! Full Sail University exploded with excitement as every match was better than the last. The NXT Universe was witness to championship contests that were the very essence of ruthless aggression. Professional wrestling was at its finest as these Rivals faced one another and laid it all on the line. Which NXT Titles changed hands and who made short work of their opponents? Find out as I recap the most anticipated WWE Live event in February! We are one week out from the next NXT Takeover: Rival Live event, shown exclusively on the WWE Network (for $9.99 but free to new subscribers for the month of February). The superstars of NXT were fired up as we headed into this week, each one eager to show case their skills and abilities. The #1 Contender’s Tournament Semi Finals highlighted the evening and the NXT Women were on point as well. How did the go home show for WWE‘s developmental brand go? Find out Now! It’s that glorious night of the week again! It is the night the WWE showcases the future of the industry exclusively on the WWE Network! It is time for the 1/21/15 installment NXT! This week we began a tournament to determine the #1 contender for the NXT Championship, we were shocked on more than one occasion and best of all, we got to learn the date for the next NXT: Takeover Live event (Feb. 11th). The path to greatness began this week and …. What is the best way to begin an outstanding and memorable 2015? Why with an explosive installment of WWE’s developmental brand, NXT. Each superstar was fired up and ready to showcase their abilities to start the New Year off with a bang. Headlining rematches and rivalries about to hit critical mass were the order of the evening. How would day one of 2015 treat the Superstars of tomorrow? Let’s pop the cork on this bottle of awesomeness and dive on into NXT 1/1/15! I've heard this lesson before. You haven't learned anything, Anakin.